Management policy - PCO S.A.
MottoInnovations for the safety of the population. To be the leading supplier of optoelectronic solutions for the Polish Armed Forces and significant on foreign markets. To fulfill needs and expectations of the customers by supplying on time, modern, reliable and safe optoelectronic devices providing security. We concentrate on the value which is the most important for certain client. We enable development of our employees. We cooperate with scientists from various research institutes. We properly protect confidential information. We ask questions when we have doubts. We work to achieve our goals. The aim of the Code of Ethics is to shape the proper way of working inside the Company and beyond as well as suppoorting us in strive to be a reliable and honest business partner, and good employer. We our proud of our values. 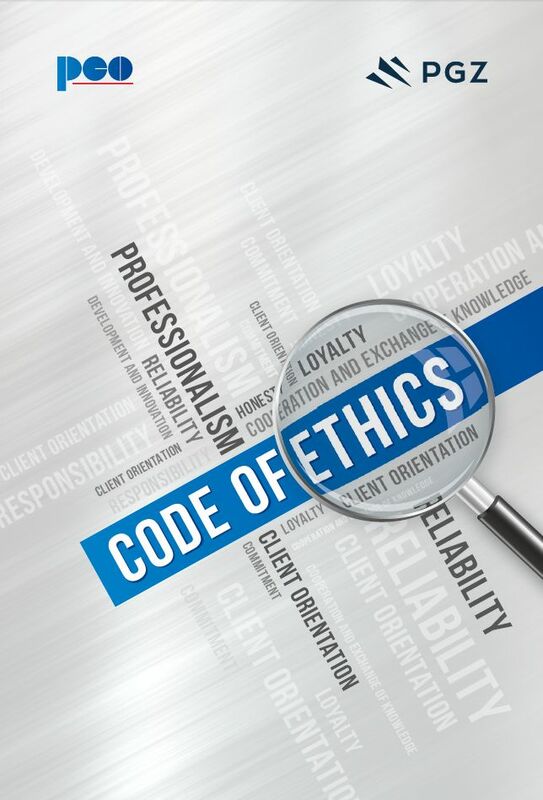 Acting in accordance with the Code of Ethics has a key importance for the success of our Company. It builds mutual trust, leads to transparency of activity both among the emploees and beyond. Due to given system of values Company becomes predictable and credible for employees, partners and clients. It is of key importance in the changing environment.